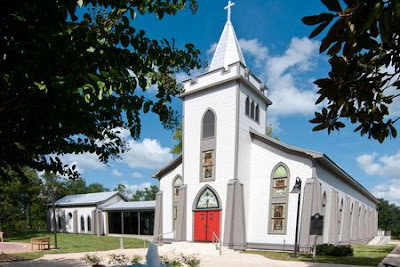 This week - TOMORROW actually, will start the St. Mary's Quilt Show in Plantersville, Texas. I can hardly stand it! I'm so excited to go! I've only heard about how gorgeous this church is and how wonderful the quilt show is organized. This is not a show to be judged...it's really a quilt show and there will be vendors there, hopefully with some awesome deals! There is NOT an admission fee for viewing the quilts, however, they will accept donations. Check out their website for additional details! This quilt show is usually packed! You may even have to wait for a ticket to be allowed into the church because it fills to capacity quickly. I went ahead and purchased a ticket for $15.00 to reserve a time slot for entry. I hope to see you there! If you see me, please say hello!